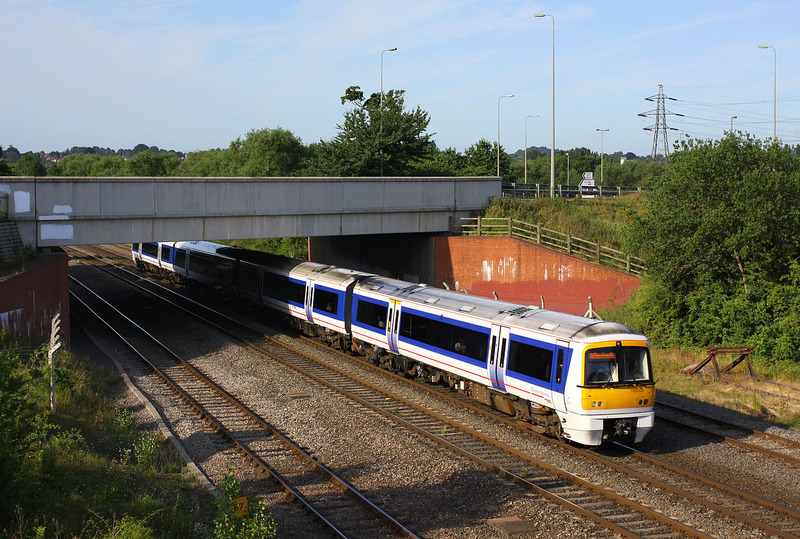 168005 passes under Hennef Way, Banbury on 3 July 2010 with the 2G06 06:15 Marylebone to Birmingham Snow Hill Chiltern Railways service. Due to engineering works, trains were running to a modified timetable, and while this train's Banbury departure was exactly the same time as normal, it in fact replaces the normal 06:24 service from Maryleone. Dramatic changes have taken place in this viewpoint since I started taking railway pictures, as can be seen in this view of 25297 taken in 1984.